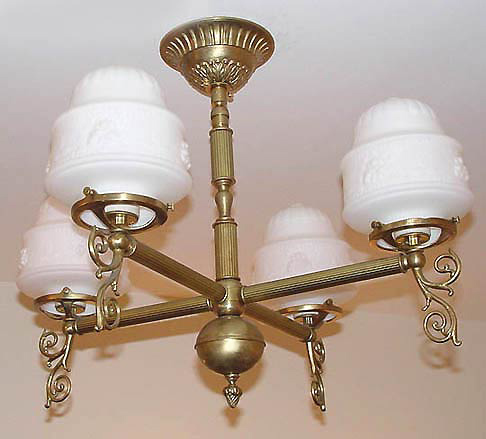 A 4 arm reproduction ceiling gaslight with a beautiful glass and lovely antique Victorian styling. Decorative arm backs below each shade make this one more delicate and bold at the same time! Variable arm length is no problem! Width 24 In. / Height 26 In. or Custom.